Poringland is a large village to the south-east of Norwich, and it is where you will find the White House, the official residence of the Bishop of East Anglia. Until the early 1970s, Norfolk was part of the Diocese of Northampton, and this was where the suffragan lived. 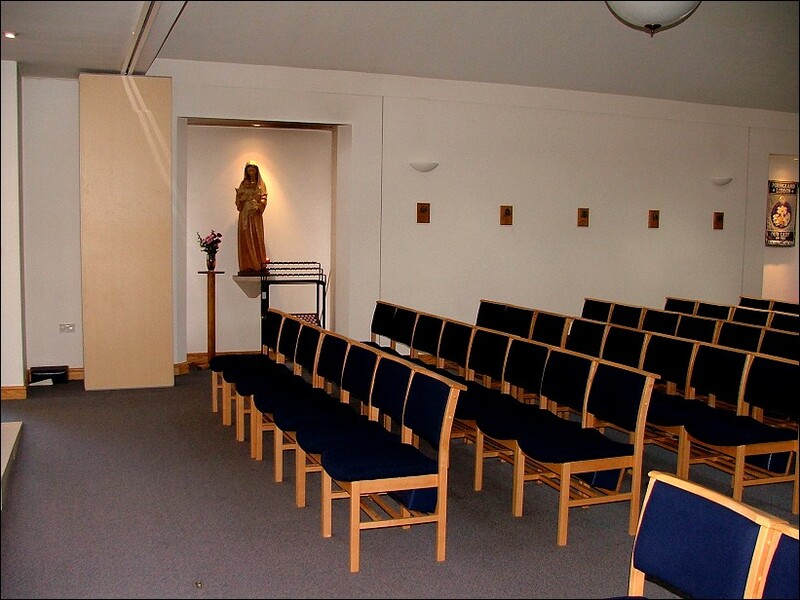 Today, the complex is at the heart of the modern Diocese, housing its offices and meeting rooms. 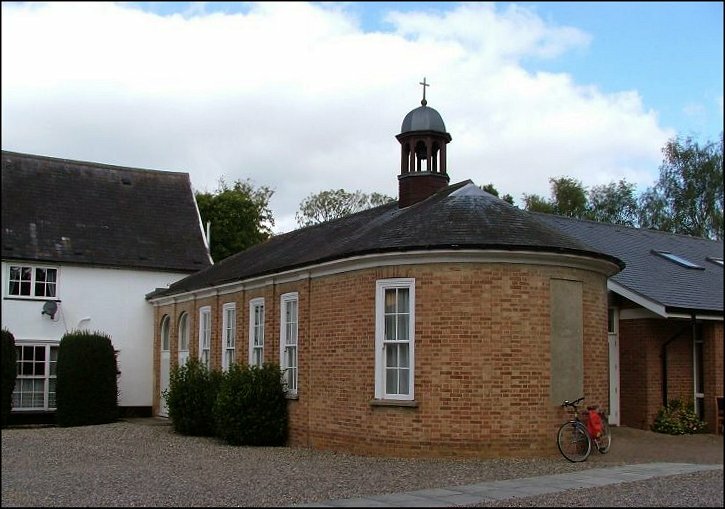 A little chapel was built here in 1950, very much in the spirit of the age, in light brick with casement windows and a curved apse. However, three things happened. 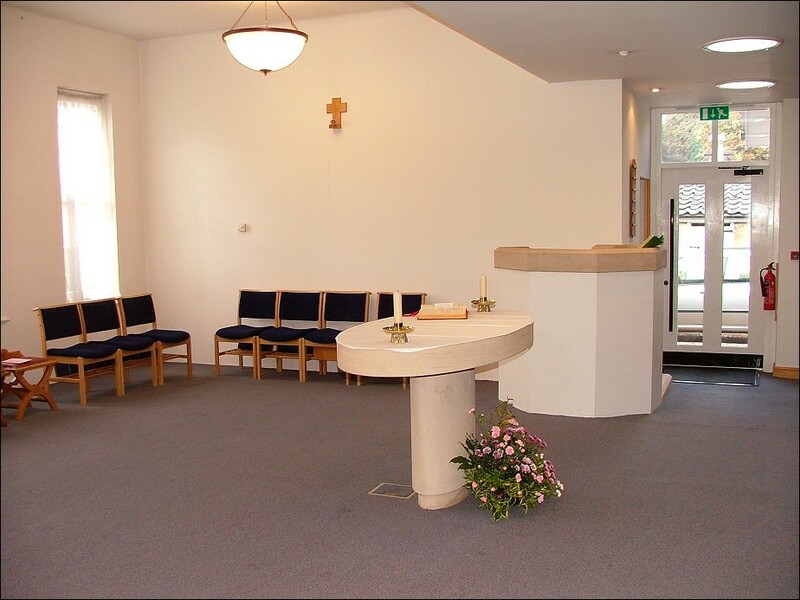 Firstly, the Second Vatican Council made the liturgical arrangements of the new little chapel redundant. 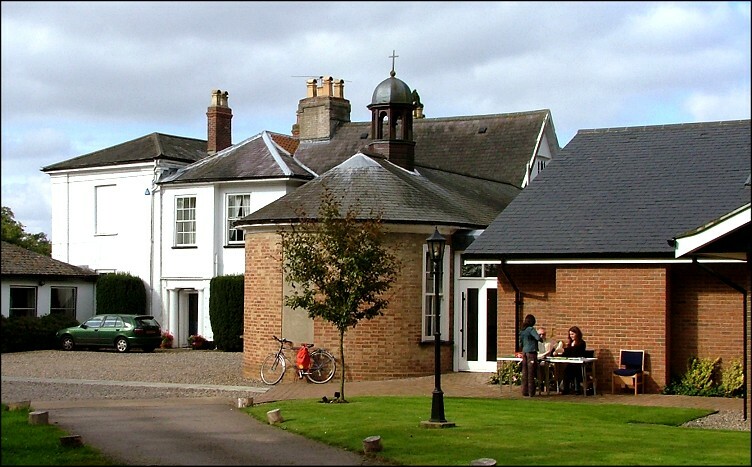 Then, the creation of the Diocese of East Anglia raised the status of the community here. 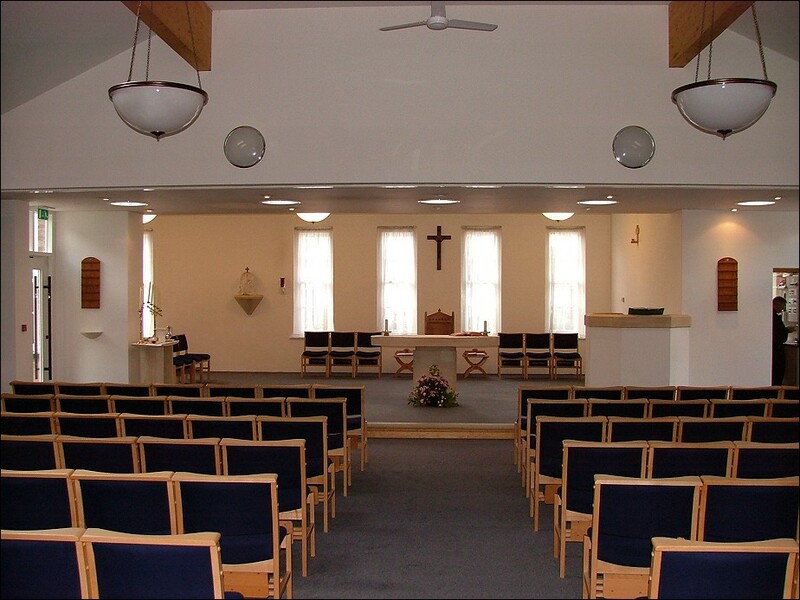 And finally, East Anglia is a part of England with a burgeoning Catholic population, and many of the churches simply were not big enough for the congregations of the 1970s and 1980s. Many of them at this time were expanded, and Our Lady of the Annunciation was one of them. A large hall-like structure with vernacular boarding was added to the north side, and the axis of the church turned ninety degrees to make the original church the new sanctuary. 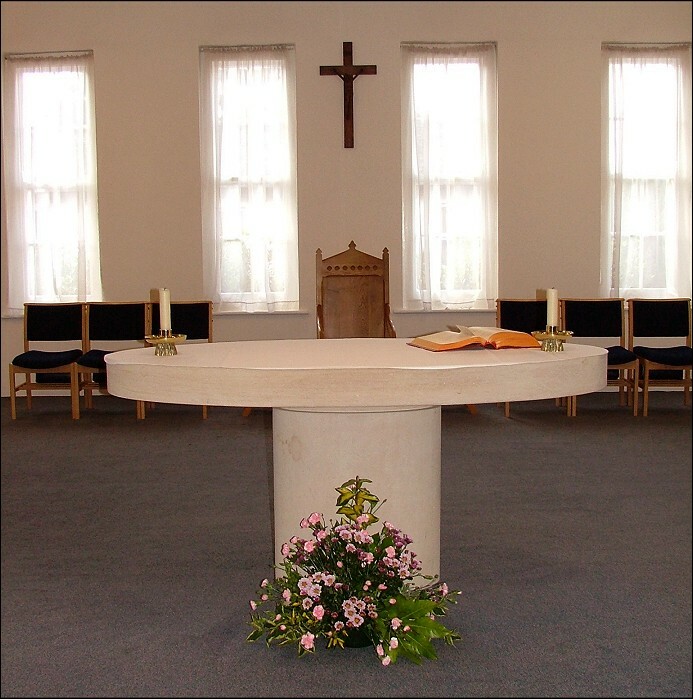 The 1950 altar, a crisp Festival of Britain-style oval, was reinstalled in the new space. The church is beautiful to step into, full of light and simplicity. The new nave is slightly canted, and everything is immaculate. 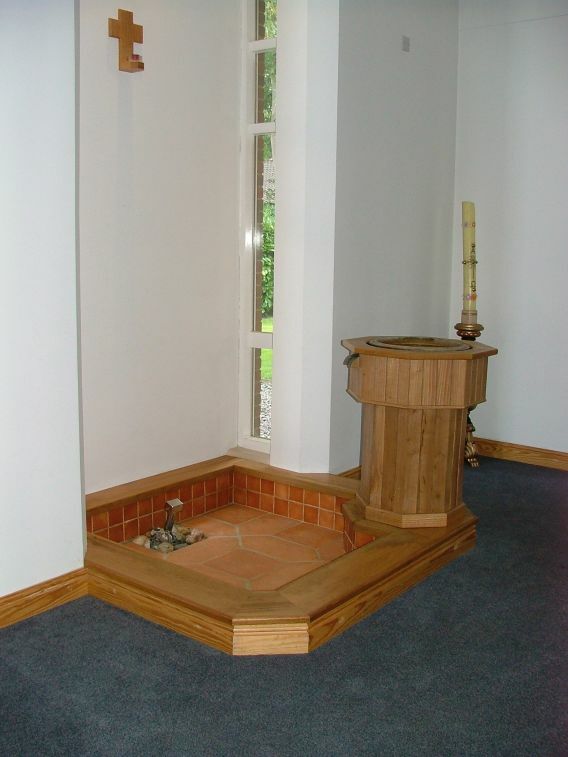 In the far north-east corner is a baptistery, comprising a font for infants and a small pool for adults and children. 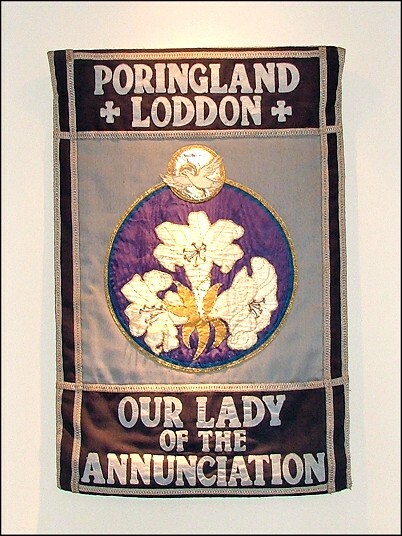 The parish is technically that of Poringland and Loddon. Loddon is a small town to the east, and is larger than Poringland. However, it has no Catholic church of its own. Instead, the Catholic community there share in an ecumenical project, and use the Anglican and Methodist churches for Mass. I have often criticised Catholic churches for being kept locked. Indeed, I even wrote to the Bishop about it, but received no reply. However, I am pleased to say that, unusually for a rural Catholic church in East Anglia, Our Lady is open every day.